You must make reservations at least 5 minutes in advance of the time at Quiessence at The Farm at South Mountain. Tuesday through Saturday 5 pm until close. Enter The Farm at South Mountain at 6106 S. 32nd Street and drive two-tenths of a mile down the lane to the parking lot. Park your car and follow the signs to the Quiessence entrance. Quiessence at The Farm is located only 10 minutes from Downtown Phoenix and less than 2 miles from the I-10 freeway. 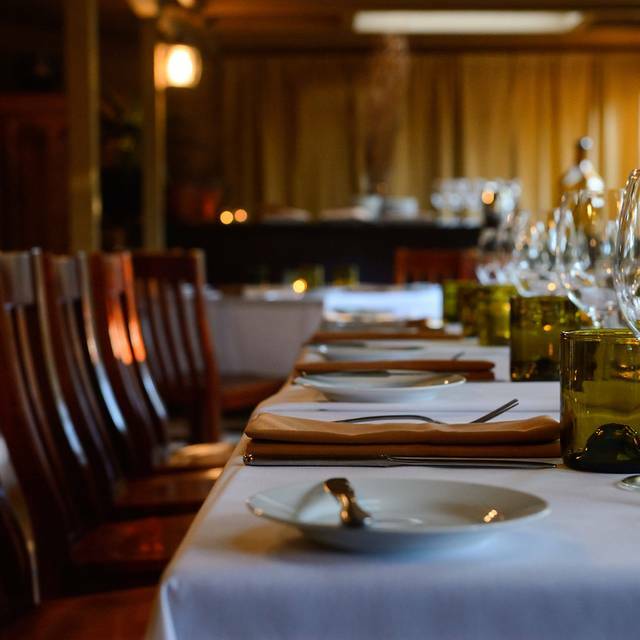 We can accommodate groups between 10 and 100 guests. 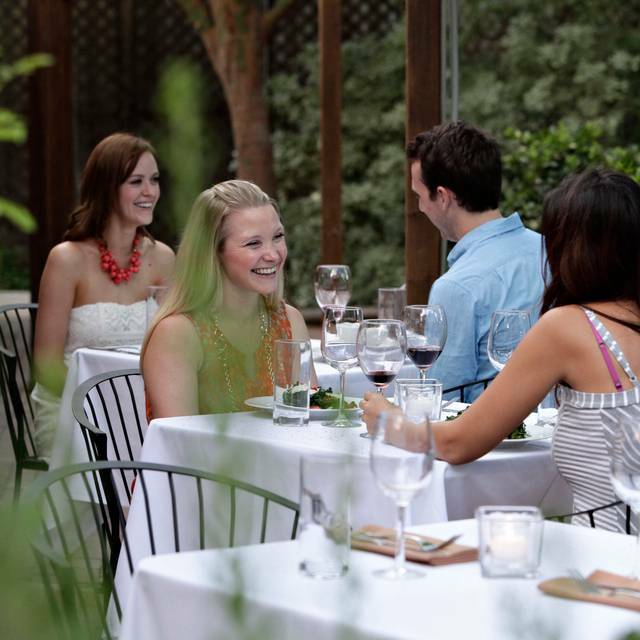 For a truly unique "farm to table" experience, please contact our event coordinator for the private event menus. You may also email info@qatthefarm.com for more information. Quiessence is available to host holiday parties. Book now to save your date! Our sister property, The Farm at South Mountain is also available for venue rental for larger events, up to thousands of people. Please contact info@thefarmatsouthmountain.com for more information. 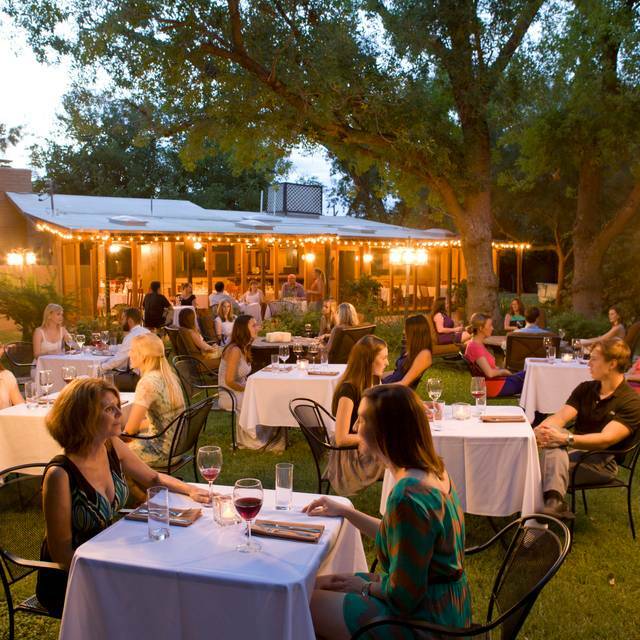 Zagat says, "Set in a historic home with a warm country feel", this "romantic" South Phoenix "gem" matches its "magical location" with an American menu based on "local, sustainable, handcrafted" ingredients and a "deep" wine list; "impeccable service" and a "calming" ambiance. 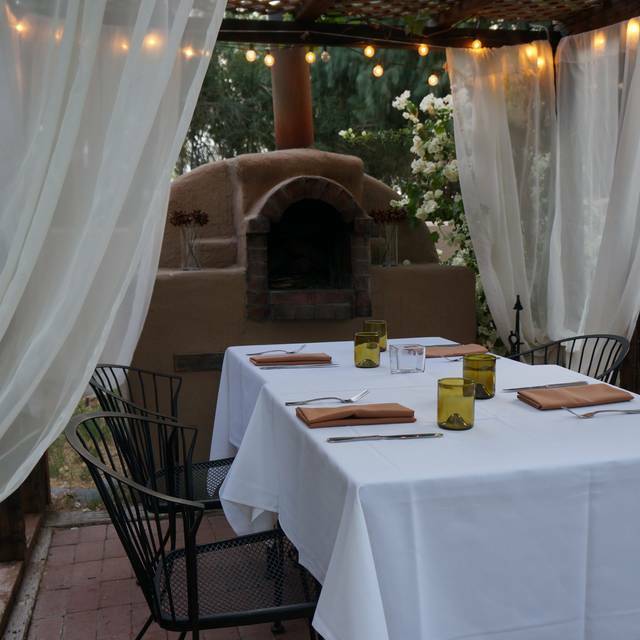 Quiessence at The Farm delivers a truly "farm-to-table" experience using locally sourced produce, meat and wine, to create a refined rustic menu. Dining at Quiessence is done at a leisurely pace, as each dish is crafted to order. 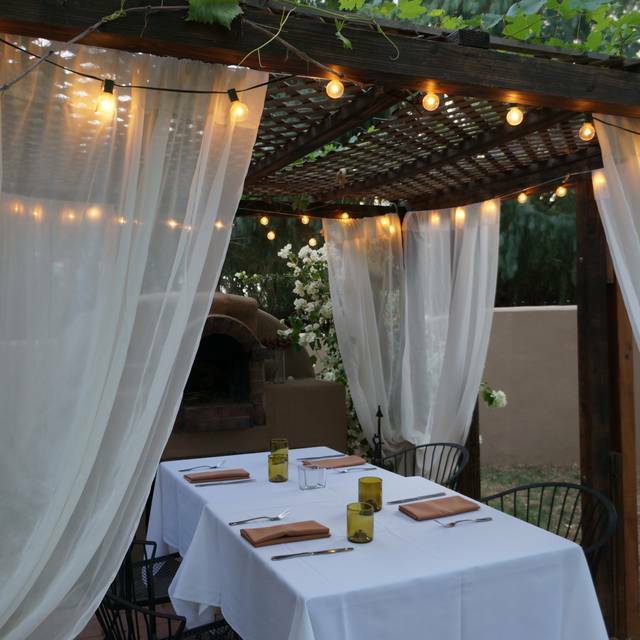 To request a table outside on the patio, please call the restaurant directly at 602-276-0601. Outside seating cannot be guaranteed. Parties of 10 or more guests having difficulties booking their reservation should call the restaurant directly at 602-276-0601. Recommended attire for Quiessence is Resort Evening Wear. Everything was Awesome! Definitely recommend it! It was all amazing. 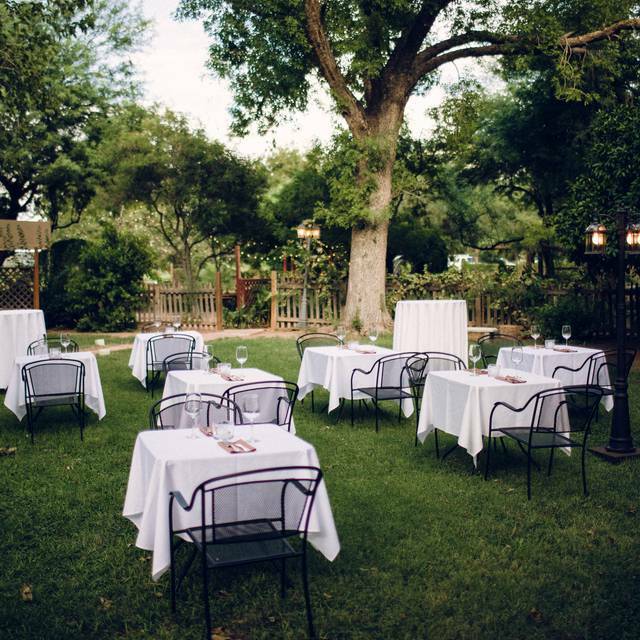 Beautiful grounds, great food and service. An absolutely amazing dining experience!!! Everything was special from the garden dining, the beauty of the property, the incredible food pairings to the wonderful service! The farm to table food is noteworthy without being overdone. It makes it a night to remember! I highly recommend this restaurant! My highlight to our Phoenix trip!!! This was our third visit to The Farm. Our first two visits were excellent, so we recommended a visit to 6 of our friends. On Saturday night, there was a choice of 4, 5, or 6 course meals. Everything was fine until the main course of duck which most of us chose. We have enjoyed duck meals in many restaurants and cruise ships, but this duck was too rare to be enjoyable, or even edible if you are sensitive to rare meats. We did ask our waitress who explained that they normally cook the duck to medium rare. We do enjoy medium rare meats, but this duck was rarer than medium rare, and most of us did not enjoy the meal as we would have expected. With 8 people spending $1000, that meal should have been unforgettably phenomenal. However, the rare duck upset those expectations, and we will not return. What a great experience. Everything was excellent. The flavor combinations were amazing. Very delicious and creative. We did the wine flights paired to the dishes and were very glad we did. Our server was a certified sommelier (wish I could recall her name! ), and was an absolute delight, going above and beyond with her serice. Awesome ambiance, food was amazing! Beyond any other Farm to Table in the USA. Extremely fresh and quality sources of food. Service exemplary of fine dining. Artful display of all six courses. A complete atmosphere of healthy true foods. The Chef accomodated serious gluten free with ease. Farm to table culinary masterpieces. One course more delicious then the next. Food was absolutely wonderful as was the ambiance of the outdoor seating. Service was exceptionally slow. We sat down for dinner at 6:00 and did not finish until after 9:30. There may have been some problem in the kitchen as a wedding reception was occurring at the same time. Service was slow enough that if it occurs on our next visit we would cross this great restaurant off our list as hopeless. This was a memorable dining experience! The chefs tasting menu was outstanding- each course topping the last. The ambiance and service matched the overall experience. I would highly recommend the Quiessence for a high quality specialty dining experience. Such a lovely and delicious meal! We always recommend Quiessence to friends traveling to Phoenix. Incredibly knowledgable service, enchanting atmosphere, and some of the most delicious food in Arizona. 10/10. We've been to Quiessence 3 times in the past 15 years. The food is the always very unique and very flavorful. To us it is the most "gourmet-ish " restaurant we have ever frequented and we are foodies that eat out at different restaurants often. This time we were disappointed in our dining experience. We arrived early by 20 minutes and, although there were many tables empty in the 2 rooms we passed, we were not seated but put in the bar to wait. When we were finally seated, we were put near a party of 5 who were very loud, obviously enjoying themselves without restraint to the chagrin of the rest of the people seated nearby. We knew the restaurant tends to take their time in preparing the meal which is certainly understandable but trying to hold a conversation over the partyers was difficult. This was a VERY SPECIAL evening for us as we were celebrating our 49th wedding anniversary and were hoping to enjoy our entire evening. The restaurant was aware of this with the maitre d' and waitress congratulating us on our milestone. The person who called to confirm our reservation also congratulated us and promised they would "take good care of us". At the end of the meal, we had hoped for a small acknowledgement of our special day in the form of a dessert, as many other restaurants do. Not at Quiessence, we were given a small packet of handmade stationery and thanked for spending our anniversary with them. Maybe I was expecting too much, maybe we should have asked to move, but I think maybe we should have gone to another restaurant. In life most people only get one 49th anniversary and that if they are very fortunate. If we are lucky, we will be spending our 50th elsewhere. 7 pm dinner , we were served bread basket consist of tiny slice of sweet cake to be deeped in olive oil. Appetizers ( lamb hearts) overly sweet & spicy , so much so we could not even enjoy wine ( pino noir) . Very unpleasant experience. Quiessence gave us one of the best meals of our lives. At the front of the house, the entire staff took great, diligent care of us -especially Sandra. The kitchen also delivered an epic performance. Given how many restaurants fail to deliver, we often approach high end fine dining with trepidation. We need not have worried. Quiessence made our $300 seem like a bargain, especially compared to Kai (Quiessence was less expensive and much better!). The flavors were sophisticated and subtle yet approachable. At the end of the meal when Sandra asked if we wanted anything else, I said “Let’s do it all again!” We can’t wait for a return trip!!! Everything about this place the atmosphere, food, setting, service etc is an excellent experience. The taste and combination of flavors was unbelievable. The service is not rushed, nor is it pretentious. It is a place we will be back for me. It's pricey but worth it! This place was absolutely amazing. What a great place to spend a special evening. The food was amazing and unique. You’ve got to try it! They had more reservations then they could handle. Server was nice and polite. Food was lovely. But it took forever. Everyone was a little miffed as were we. We chose the tasting menu. Three of the courses were good, but two of them were served lukewarm. Service was painfully slow; 3+ hours. The other two courses were lacking in flavor. Big change from our visit several years ago. I have and will continue to recommend Quiessence to our friends, however, I will certainly caveat with how the weekend menu is currently offered. We have been customers of Quiessence for many years and usually go once a year for special occasion (birthday/anniversary) and it has always been top notch in every way. Although, we haven't been for the past 2 years so we were EXTREMELY surprised when we brought an out-of-town family member for dinner on Saturday to find out you had to order a 4, 5, or 6 course meal and that it was recommended that everyone at the table order the same courses. This was very perplexing and disappointing as our guest was a petite woman who doesn't have the same appetite as my much larger husband. Plus, we would have enjoyed ordering other items that were only offered on the higher course menus. Had we known or realized all of this beforehand, we may not have gone here for dinner. However, in the end, the food from all of the courses (we ordered the 4 courses) was delicious and we enjoyed our meals. The amount of food for each course was a few delicious bites, however, the dessert seemed to be full size which we were all very happy about. With foodie friends in from out of town, I wanted to find a unique restaurant that would have fine, creative presentations for dinner. Quiessence was perfect! The tasting menu was varied, a perfect amount to eat, beautifully delivered, not only in appearance but also in timing, and wonderfully composed flavors. Kudos to the chef, the staff and the Farm! The dining experience at Quiessence was amazing. The farm and restaurant were a beautiful setting. The 5 course menu was delightful. The chef even catered the menu to our dietary requirements which was a truly welcomed surprise (he went above and beyond to accommodate). I thought each course was fantastic then he surpassed with the next. Definitely recommend and will return next time I’m in Phoenix. One of the best dinning experiences I have had in Arizona. A very vegetal evening. It was a tasting menu(not describes)that consisted mainly of organic local veggies that was not expected. Although very well done, it was difficult to continue beyond the fifth course, there was a total of 8 listed. Unfortunately, it was raining heavy and the outdoor seating requested was not possible. Next time will order ala carte or know what is offered on the tasting menu. Disappointed at $415.00. Excellent service and a fantastic tasting menu. Our waiter was especially helpful in guiding us through the area for our visit here. What an absolutely wonderful evening. We went for a special occasion and they made it an experience that we will always remember. Not something we could afford often but worth it for our anniversary. This has to be one of my favorite fine dining experiences in the Phoenix area. 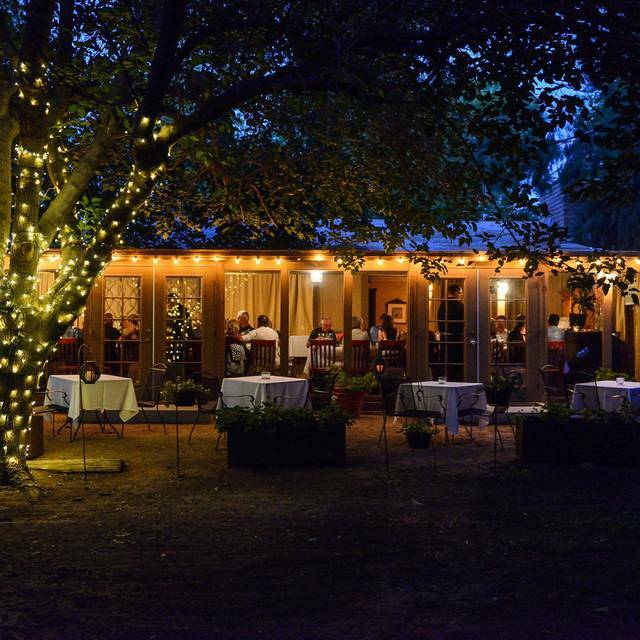 The farm is a hidden gem with amazing food. The staff are always friendly and accommodating. I showed up an hour early for my reservation to enjoy a drink or two. They were able to seat me half an hour early and allow my date and I to enjoy the ambiance. It’s tucked back enough from the road so there is minimal notice other than the birds an other pleasant sounds of nature (we sat outside). I would highly recommend this place to anyone who appreciates a relaxed and intimate fine dining experience. Outstanding dining experience with knowledgeable staff. Expensive for most people but worth the experience. The service was impeccable. Each course was creative and flavorful. It was perfect for a business dinner with a colleague on a Thursday evening. Beautiful food! Fantastic service! Wonderful wine! An overall great experience. I will definitely be back. We had the Valentines Day Prix Fixe menu, 4 courses and wine. Everything was delicious, the flavors were pronounced and blended perfectly from vegetables and flowers grown on the 10 acre farm, expertly prepared. The two hour meal was paced to allow each course to be savored. This was not a typical 30 minute dinner dash, attention was paid to every detail down to never seeing a bare tabletop when changing out a tablecloth. The meal was spendy and worth every dollar. 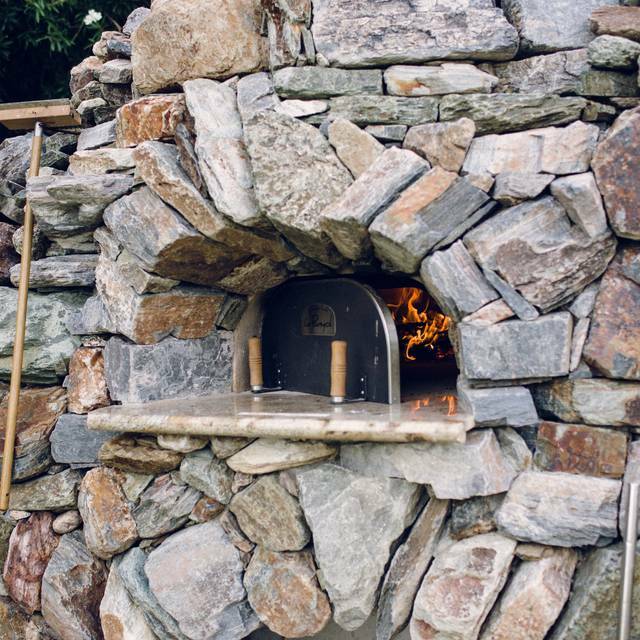 The owner and chef have grown the restaurant into a true destination. We wholeheartedly recommend Quiessence for any occasion. Expensive - but worth every penny. Amazing food, excellent service. Unforgettable experience. Very nice outside dining. It was cold but they had a nice tent put up with plenty of heaters. Staff very attentive to our comfort. Food was awesome. Yearly visit required. What a wonderful place to celebrate my daughter’s and my birthdays. Our grandsons enjoyed their first tasting menu, especially the salad with edible flowers. 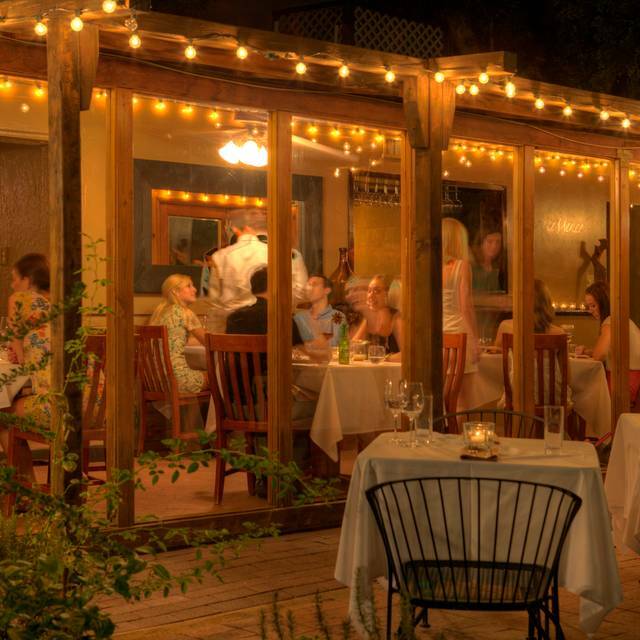 Quiescence is a restaurant that we return to again and again when In Arizona. We had the Valentine special. The food was excellent, but the price was a little high. The dessert was supposed to be ‘sharable’, but this wasn’t specified on the menus, and the types of dessert provided were not really of the type to share. While the overall ambiance was nice, the experience was not as good as it cold have been, because one of the other patrons had his phone set to speaker, and was FaceTiming very loudly during the meal. The staff made no effort to ask him to stop.